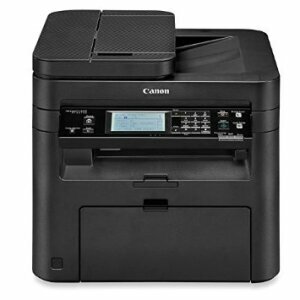 Not long ago the ink jet printer was considered the printing standard, but the new kid on the block is the all-in-one laser printer (Printer Copier Scanner Fax and Canon 137 Toner Cartridge). This version comes with 4-in-1 functionality – print, copy, scan and fax. It’s the latest in tech fashion. Let’s keep it real. Print using iPhone with Apple Airprint. Yes, many of us in the tech crowd share these same ideas—avoid replacing the ink recurrently, printing in black, bounteous features, wireless—and more. We’re used to being served and we want served now; wireless is the preference. If utility expresses interest in a more compact unit with just the basics, then the Canon imageCLASS is the appropriate choice. Print from virtually anywhere with easy wireless connectivity. This is a black and white laser printer that is a great fit for personal printing, as well as small office and home office printing. It seems to me that Canon has found firm footing in the printing universe, no doubt stemming from the superb quality of the digital camera, supplied by said corporation. 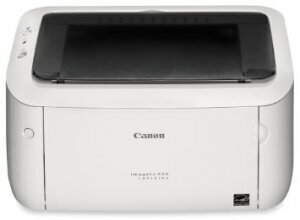 The ink jet printer is not a relic yet, and I still use the Canon that I’ve owned for several years now. The quality of printing has been excellent and I will not be getting rid of mine anytime soon. There’s only one small matter and it’s not with the quality. The problem is replacing the cartridge every few months or even weeks, and feeling like there should be more pages yet to print. This is not exactly painful; it’s only a nuisance to be avoided. If you’re wondering about the two different prices between the images and the links, one includes the toner and the other does not.